Even an apparently safe space as the App Store can turn into an intricate forest, if you don’t know exactly what to look at. 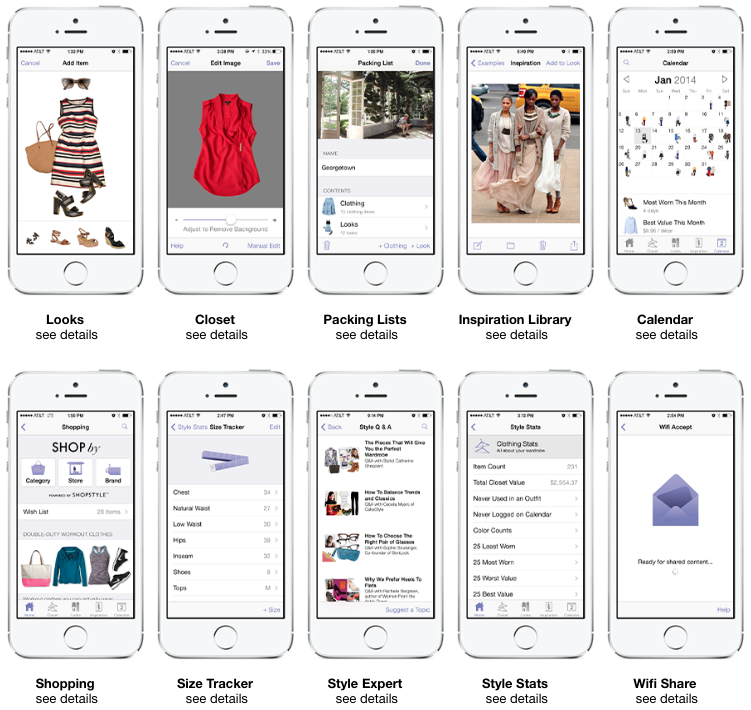 And when it comes to fashion, there are so many apps dealing with online shopping and inspiration sources, that finding some actually unique and useful ones might be disorienting. But don’t worry, we’ve created the ultimate guide to apps that are reshaping our own way to shop and keep everything organised. 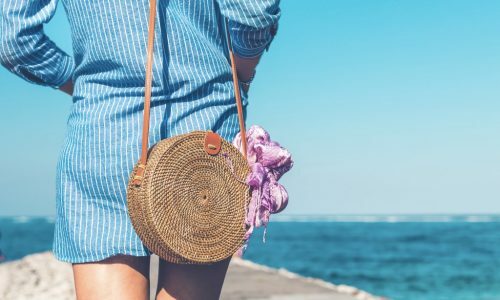 First of all, you have to take pictures of all of the items in your wardrobe and upload them; after that the possibilities are pretty much endless: you can constantly check what’s in your closet, create “packing lists” to visualise the items you want to bring on your next adventure, fill the “calendar” with outfits you wore and with those you’re planning to wear, shop for something new and even save your body measurements for certain brands. 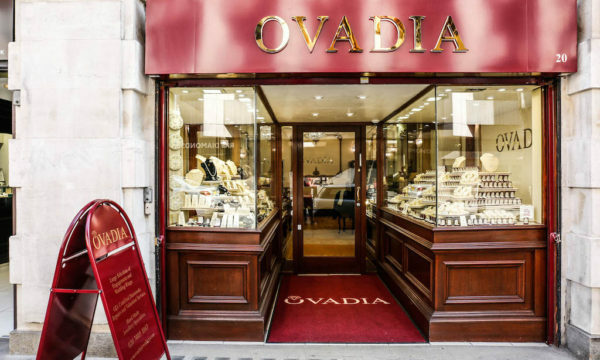 Even the most disorganised woman will be able to make the best out of her closet! Already very famous, this app is an interactive marketplace where people showcase stuff they want to sell directly from their closet. 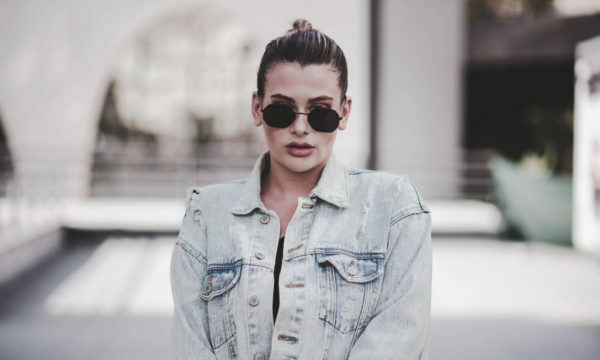 The interesting thing about Depop is that this community is populated by the most famous fashion bloggers and it-girls, so you won’t just be able to get inspiration from them, but also to buy some of their statement pieces and literally “get the look”. If you are willing to work in the fashion industry FAD will quickly become your best ally. 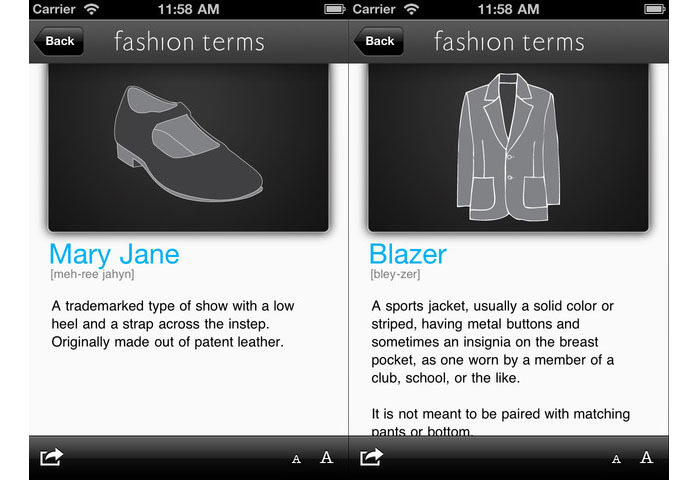 Here to solve any of your pronunciation and spelling doubts, this app is indeed the ultimate fashion dictionary! It not only includes detailed explanations of shapes, cuts and fabrics; it also contains designer bios and fashion history. 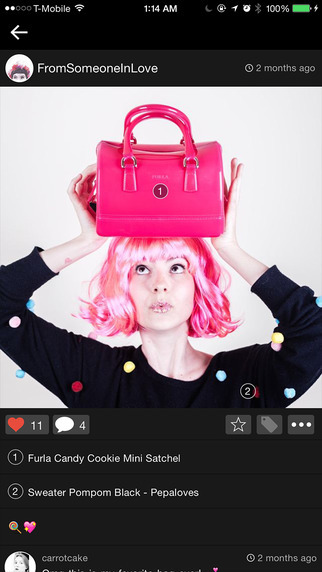 Created by the blogger Amy Roiland, this app is actually one of kind. The layout resembles Instagram, but the purpose is totally different: thanks to this app, in fact, you will be able to get a 100% commission on every item you share and tag, in the case that someone actually buys it thanks to your link. 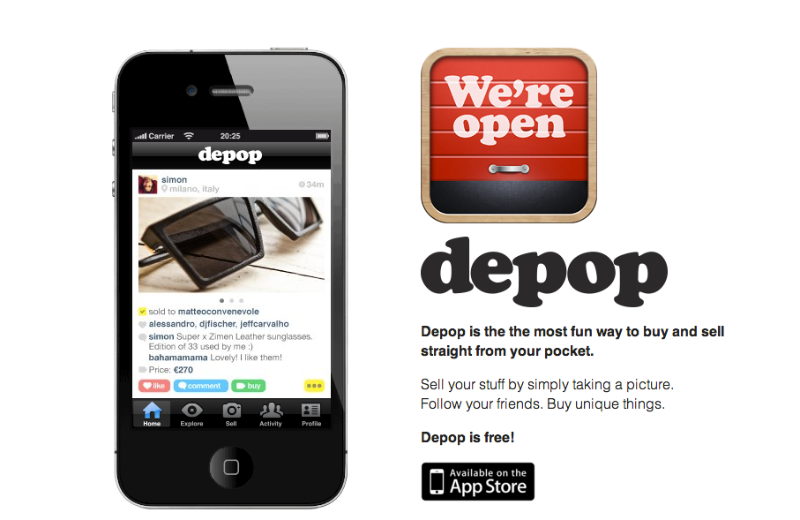 A real, concrete, personal shopper in your pocket. 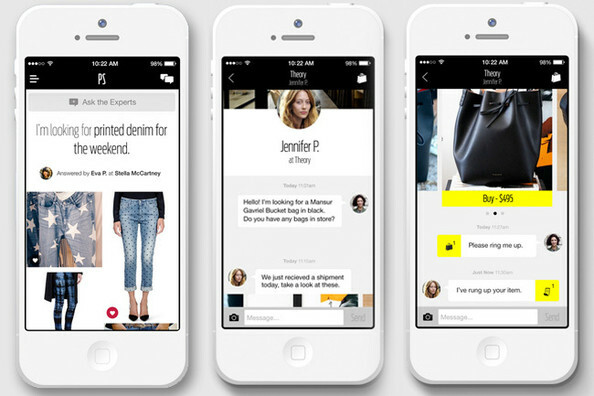 This incredible app provides users with a personal shopper 24/7, ready to communicate with you through messages and pictures, just like having a personal stylist by your side! They will take care of dealing with shops for you and no matter what you are looking for PS Dept’s super efficient team will give you exactly what you want. 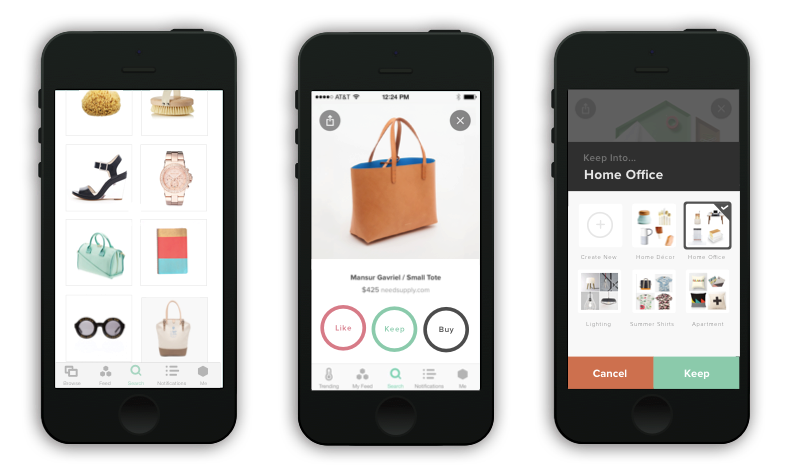 Keep Shopping is an app considered revolutionary. The reason is pretty simple: it allows you to buy literary any possible product from any possible store located anywhere in the world. Get ready to buy your favorite dresses and accessories from all around the world and proceed with an all-in-one checkout!